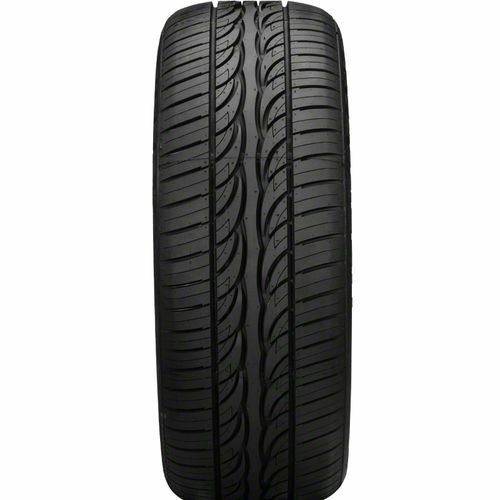 The ultra-high performance Uniroyal Tiger Paw GTZ All Season tire delivers superb traction and ride comfort. Its special tread compounds provide superb grip even in freezing temperatures and light snow. Multiple intermediate blocks combine with siping to add biting edges for improves wet and winter grip. Also, lateral notches and wide grooves channel water from the footprint to resist hydroplaning in damp and wet surfaces. Internal steel belt construction and spirally wound nylon reinforcement results in superior high-speed stability. 245/40R-19 400AAA 1,653 lbs 50 psi 9/32nds 9" 10" N/A 27"
Purchase includes the Uniroyal Tiger Paw GTZ All Season tire only. The wheel rim shown in the picture is not included. Picture provided is a stock picture from the manufacturer and may or may not reflect the actual product being ordered. 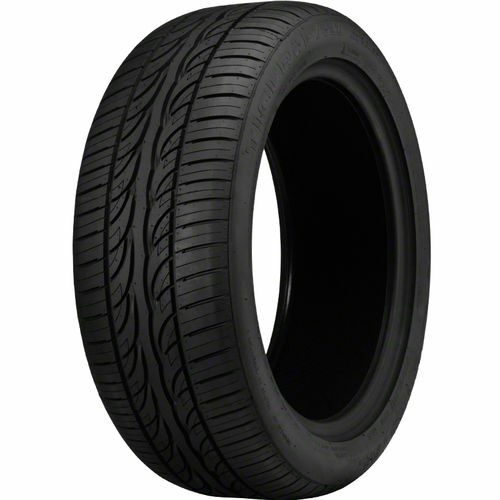 All Uniroyal Tiger Paw GTZ All Season tires are continuously developing with manufactured improvements. With that said, Simple Tire and the manufacturers have the right to change these tire specifications at any time without notice or obligation. 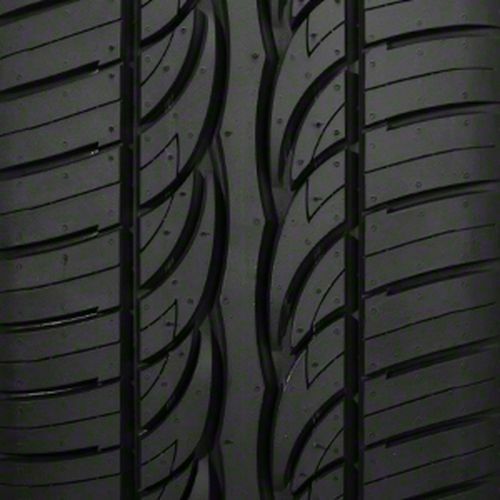 Please Note: Specifications of the Uniroyal Tiger Paw GTZ All Season tires shown above are listed to be as accurate as possible based on the information provided to us by Uniroyal tires. I found this tiers are a very good while they are new. I cannot give recommendations as I use them for couple months only. Most of tiers aging in 4-5 years and not grip road as good as new ones. Also SimpleTire sent me two tires manufactured 1 year ago and two tires manufactured two yeas ago. I would recommend to ask them a question about manufacturing date before buying tires. I originally bought 2 Uniroyal Tiger Paw tires back in the summer of 2017. Since then, I've been pleased with how they've held up and the overall quality. So when it came time to replace the other 2 tires, this summer, I intentionally sought out this tire. Beyond happy that I've found a reasonably priced tire for my Charger R/T! 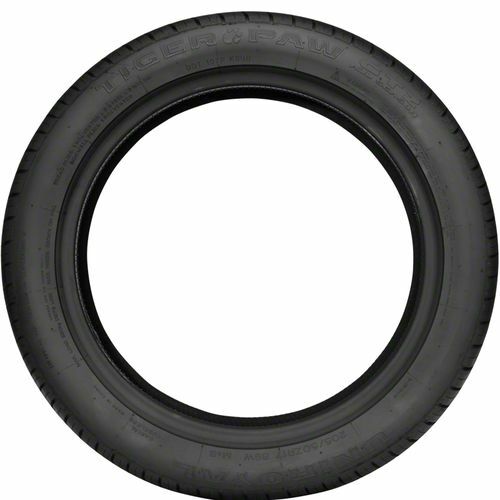 I'll continue to buy this tire, as long as it is available, and reasonably priced. Thanks, Simple Tire! By submitting a review, each person received a sweepstakes entry. I brought these for my grandson,who travels back and forth to college each week. I loved the price for them and the tires have been great. By submitting a review, each person received a sweepstakes entry.